Last week, Al-Azhar University decided to dismiss one of its student after a video of a student hugging her fiance inside the Mansoura University campus in Delta Egypt went viral, however the disciplinary committee gave her the opportunity to appeal the decision after they were criticized. Azhar University spokesman Ahmed Zarei revealed in a statement to the BBC that a disciplinary council had decided to expel the student, who is studying at the Faculty of Arabic Language at the university branch in Mansoura, after an investigation. “The expelled student now has the right to appeal the university’s decision before a high disciplinary board,” he told Ahram Online on Sunday. Zarei added that she can now settle for a lesser punishment. 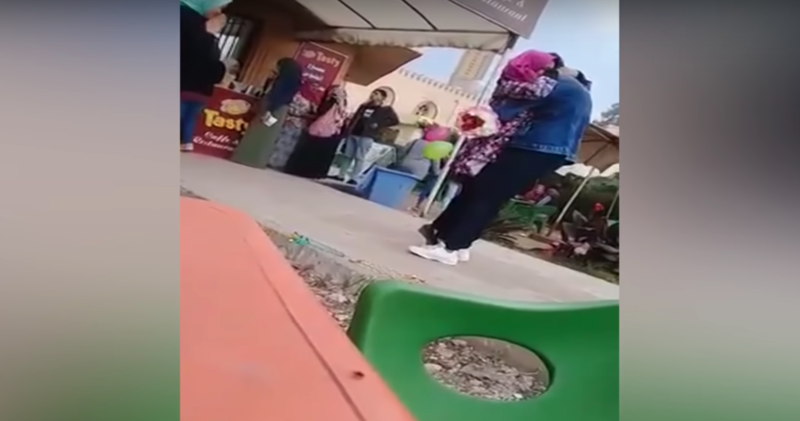 The video circulated social media websites where a student at the Faculty of Law in Mansoura University hugs the student after proposing to her. The young man shows up and surprised the girl with roses. The fiancé was referred to a disciplinary board at his university, but no decision has yet been made. Al-Azhar University is a gender segregated institution and does not permit the mixing of students in its faculties and buildings. In several places in Egypt, physical contact between men and women is not permitted because it is deemed immoral. After news of the girl’s expulsion hit social media, many started criticizing the harshness of the punishment while others thought that this punishment adequate.